Who would have thought that our desire to please was indirectly the cause of tragic air and rail accidents? 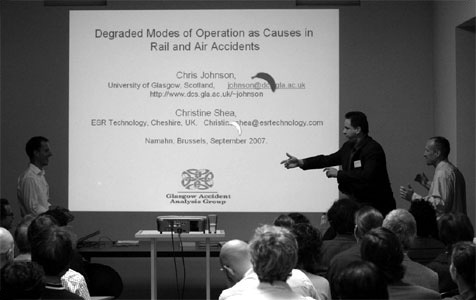 In a presentation in the Namahn library, Professor Chris Johnson, an accident investigator from the computer science department of the University of Glasgow, explained that when technological systems fail to perform properly, the result is a degraded mode of operation. Over time, operators develop “workarounds” that help them to cope with these degraded modes. Unfortunately, just “making do” in this way also erodes safety margins and may ultimately lead to accidents. Johnson cites several spectacular air and rail crashes to make his point. The crash of an MD-83 and a small passenger plane at Paris’ Charles de Gaulle airport in May 2005, for example, was partly caused by the use of two different radar systems. Air traffic controllers had to piece together information from two different screens in order to get the full picture of air traffic movements. An operating culture which encourages performance at the cost of safety can also cause degraded modes of operation. 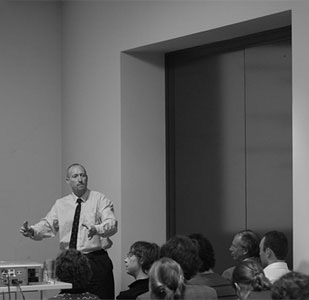 Johnson found, for example, that a culture of “do or die” on-time running contributed to lapses that led to the Glenbrook train crash in Australia in December 1999. So, how can we minimise the occurrence of degraded modes of operation? 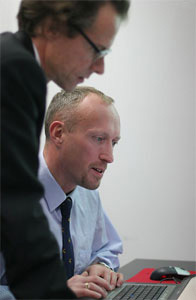 Johnson believes that training plays an important role. In the Southall rail crash in 1997, for example, it was found that drivers were not trained in driving without the Automated Warning System (AWS) and that the Automated Train Protection (ATP) system had been switched off. Ironically, our flexibility in interacting with technology, which is normally seen as a good thing, leads to more extreme degraded modes of operation. And Johnson expects it to become more difficult to spot degraded modes of operation as technologies become more complex.